While you can scour the internet for great resources on executive presence, muddle through recommendations, and slowly work through reading lists, we know your time, energy, and resources are limited. 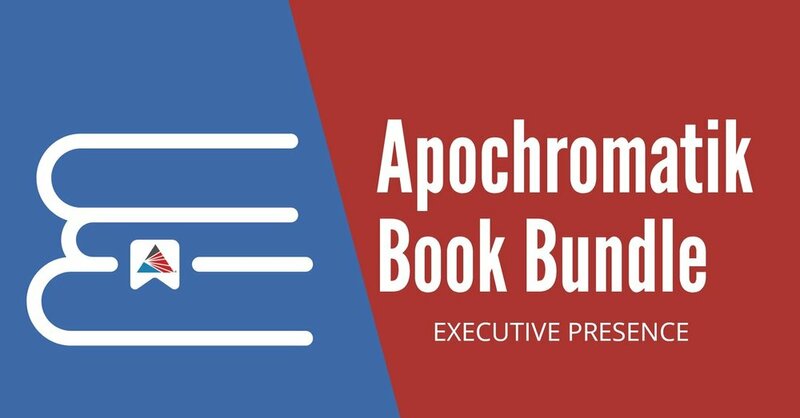 So this week we are announcing our first Apochromatik Book Bundle. We believe these 3 books provide a solid foundation of material for our clients working to improve their executive presence. These books are short (200-250 pages) and each are a relatively quick read while still providing a solid foundation so that you can build your skills and achieve your goals on the given topic. This week we look at three resources to help you build your executive presence and personal brand. Amazon links to purchase hard copies of these books are included below, but you can get them on any reading app, library, or even the used book store. Of course, if you can benefit from further assistance with executive presence, your personal professional brand, or public speaking, don’t hesitate to contact us directly as we regularly work with clients on these issues. Everyone recognizes leaders with "presence." They stand out for their seemingly innate ability to command attention and inspire commitment. But what is this secret quality they exude, exactly? Executive and CEO coach Kristi Hedges demystifies this elusive trait, revealing that leadership presence is the intersection of outward influencing skills and internal mental conditioning. You aspire to lead with greater impact. The problem is you’re busy executing on today’s demands. You know you have to carve out time from your day job to build your leadership skills, but it’s easy to let immediate problems and old mind-sets get in the way. 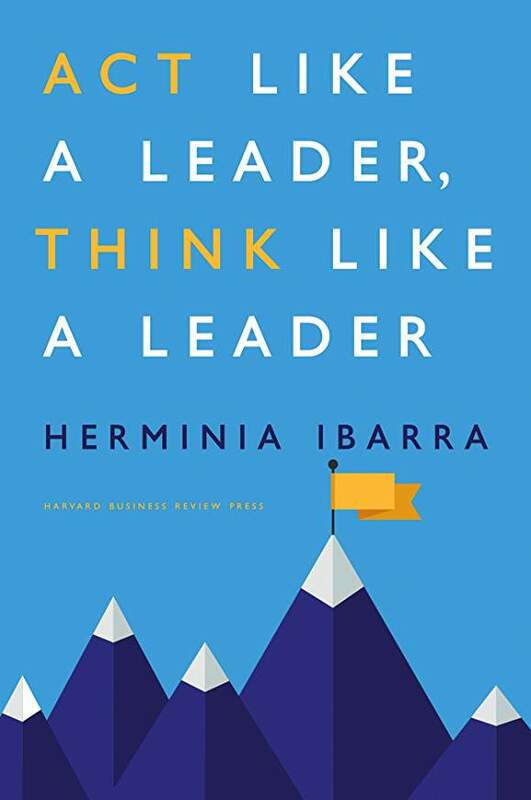 Herminia Ibarra—an expert on professional leadership and development and a renowned professor at INSEAD, a leading international business school—shows how managers and executives at all levels can step up to leadership by making small but crucial changes in their jobs, their networks, and themselves.